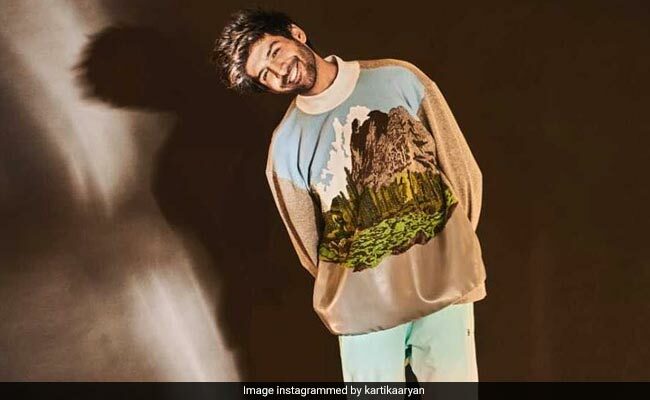 Kartik Aaryan, who is currently shooting for Imtiaz Ali's untitled film in Udaipur, had to let go of his "most prized possession" for the director. In case you are wondering what we are talking about, we are referring to the actor's hair. Yes, you read that right! On Monday, Kartik shared a post on his Instagram profile, in which he revealed that he will be seen sporting a new look in the film and wrote: Naya look." Though Kartik did not reveal much about his look in the film, he added: "Jab we cut. My most prized possession is gone for some time. Courtesy - Imtiaz Sir." Kartik announced his association with the project by sharing a picture of himself along with film's lead actress Sara Ali Khan and he wrote:" Honored to embark on a journey with Imtiaz Ali's next, the yet untitled film with Sara Ali Khan and Randeep Hooda. Aur ji haan, issi film ki shooting chalu hai." On the work front, Kartik Aaryan was last seen in Laxman Utekar's comedy-drama Luka Chuppi, co-starring Kriti Sanon. Kriti Sanon On Kartik Aaryan Getting Credit For Luka Chuppi's Success: "It Should Be Equal"